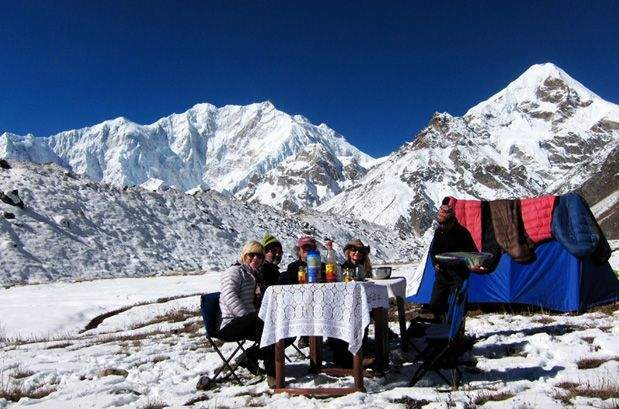 Sikkim is home away from home for trekking enthusiasts, especially those constantly on the lookout for challenging and equally rewarding tours. With innumerable scenic, exciting and strenuous trails of varying difficulty levels, this beautiful terrain is a pleasure to explore. The snow clad mountains lining the horizon, verdant jungles, cascading waterfalls, gushing rivers and sparkling lakes invite nature lovers and adventure junkies to experience the pristine settings. While all trekking routes in Sikkim are equally picturesque and stunning, some of them stand out from the rest. Let’s take a look at 7 such best treks in Sikkim for you to try out this year. Running across the Nepal-India border, the Singalila Ridge is a popular trekking trail that draws several seasoned trekkers eager to explore the punishing yet spectacularly beautiful landscape. 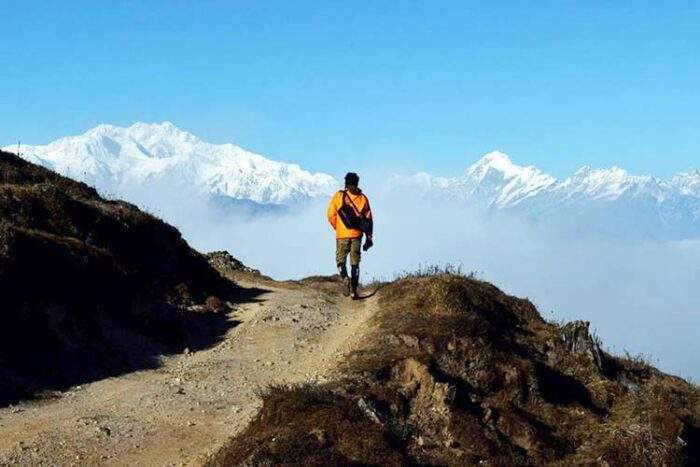 The journey is a long one with the trail typically covering Pelling, Uttarey, Chitrey, Chewa Bhangyang, Meghu, Dhor, Laxmi pokhari, Gomathang, Panding, Dzongri, Thangsing, Lamuney, and Tshoka before ending at Yuksom. You are rewarded with sightings of several majestic peaks towering in the horizon- Mt.Everest, Kanchendzonga, Lhotse, Makalu, Pandim, Kabru and others as you make your way along the alpine meadows, patches of Rhododendrons, glacial moraines, the Prek Chu river, and several beautiful lakes enroute. There are several other trekking trails that run through the Singalila Ridge, offering sneak peeks into Nepalese terrain! This demanding trek needs you to be mentally and physically prepared to negotiate the tough terrain. Stunning views of the Kanchendzonga massifs clad in snow, Mt. Pandim, Kabru, Frey, Kohthang and others are indeed quite rewarding as you progress through this trail. Starting from Yuksom the route runs through Bhakkim, Phedang, Dzongri, Laxmi Pokhari and further to Bikhbari, Rathong Glacier and Chaurikhang before tracing the path back. 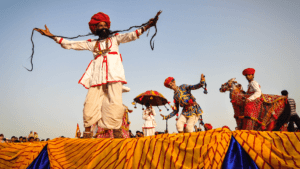 Impressive visuals of the rising sun, Rhododendron patches, and vast pastures are bound to keep you in high spirits throughout this exciting tour. 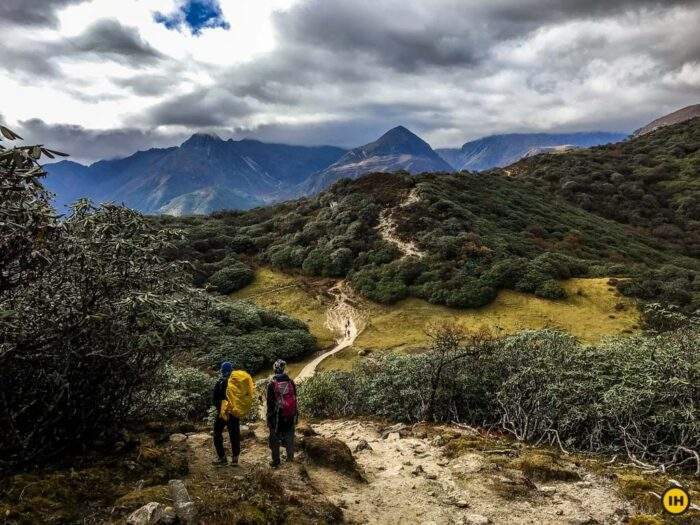 The Dzongri – Goecha La trail allows you to explore and revel in the rich natural settings of Sikkim as it runs through dense alpine forests, which occasionally give way to flat grasslands offering impeccable views of the surrounding snow covered mountains. Winding past Rhododendron and Magnolia patches, along and across the Rathong and Prek Chu rivers, you can catch the stunning sunrise that light up the mountain ranges as you spot peaks Kabru, Pandim, Kanchendzonga, Jupono, Talung and others stand out from the rest of rocky mass. The Samiti lake with Mt. Pandim looming in the background and the arid flats of the Zemathang plateau add to the attractions of this trek. This eternally popular, challenging trek leads you through the sprawling verdant landscape dotted with Alpine vegetation, flowering plants such as rare orchids, and Rhododendron forests. 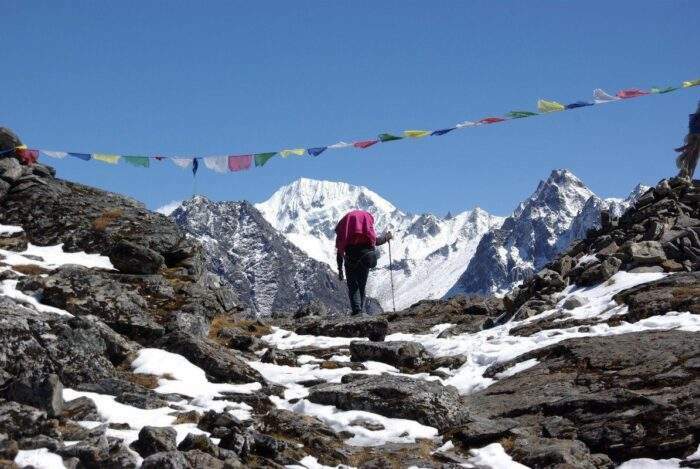 The trek begins at Lachen, taking you through Zema, Tallem, Jakthang and Yabuk right upto the Zemu glacier that feeds the Zemu River, opening up stunning views of Mt. Simvo, Sinolchu, Kanchendzonga and the Twin peaks as well as other peaks. Trekking past Yabuk gets you to the stunning Green Lake, bound by vast meadows with the mountains rising in the background. You can take a stroll around and rest at the camp here before retracing the route back to Lachen. An alternate route via Lachen-Thangu-Jakthang traverses parts of the Kanchendzonga National Park replete with native wildlife and bird species proves an equally enjoyable journey. The trek to the Tholung Monastery is a truly a tough yet immensely scenic one, as you will discover, following the course of the mighty Tholung river running through the dense vegetation blanketing rough terrain. Tall craggy landscape interspersed by streams that plunge into the dark depths of narrow gorges, snow covered peaks spanning the horizon and the twitters of the avi fauna that habit the surrounding forests are indeed salient features of this trek as is the Tholung Monastery itself, which is home to several rare and ancient Buddhist artefacts, scriptures and relics. The trek kicks off at Lingza, taking you to Changey, Tholung, Kishong and Upper Tholung before returning back to Changey and Lingza. The tallest peak in the Singalila Ridge, Sandakphu is a popular trekking destination for tours from both Darjeeling and Sikkim. Starting from Maneybhanjang the trail leads you to Chitrey running further to Tonglu, Garibas and Sandakphu from where you can get picture perfect views of the Kanchendzonga massifs, Mt.Everest, Lhotse and Makalu on a clear day. You’ll be greeted by dense clutches of Magnolia and Rhododendron along this route which also winds through natural habitat of the elusive Red Panda. Trekking further, you will arrive at Phalut from where you get to Gorkhey, Rammam and finally Rimbik, the end point of this trek. Surrounded by Alpine terrain and vegetation, with the mountain ranges always in sight, your journey along this trail seems literally endless! 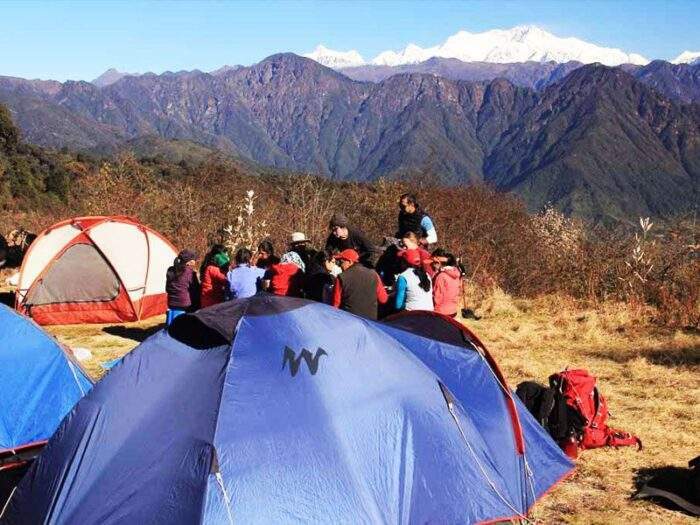 The relatively short day trek from Ravangla to the top of Maenam Hill is an enjoyable, easy – moderate tour that rewards you with visuals of Rhododendrons, Magnolias and other mountain flowers in bloom, dense forests of Chestnut/Oak and other native trees, local wildlife and of course the Kanchendzonga range. The route traverses through the Maenam Wildlife Sanctuary, offering you ample opportunities to appreciate the flora and catch a glimpse of Deer, Red Panda or even the Himalayan Black Bear. 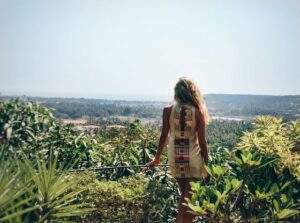 You could choose to extend your tour by camping on Maenam Hill and trekking further uphill or downhill to the villages of Borong or Yangyang. A visit to the cliff top at Bhaley Dhunga offering panoramic views is also part of the itinerary.Several reputed tour operators offer fixed schedule treks in Sikkim to these and other popular destinations during spring/summer and post monsoons during September/October. If you’ve not already signed up for one, check them out right now!